Father's Day at school is always a tricky business. On the one hand, it IS part of the curriculum that children should be aware of special holidays and observances. On the other hand there's always that risk that you're being insensitive to those without a father in their lives. Though done tactfully (and in moderation) I don't think it's necessary to shield students without fathers from Father's Day discussions. I'm sure there'll be plenty of cultural topics covered in school that every student will eventually learn about that don't relate to them personally. My concern isn't just those without fathers, its also those who have complete jackasses for fathers. It's hard to do a list of the "10 Best Things About My Dad" if your dad is an abusive drunk or whatever. As I say, it's all of those issues that make the topic a tricky one to teach in a classroom. I'm not saying it shouldn't be taught by any means, but it should be handled as sensitively as possible. But all of the above is a side note. I wanted to discuss Father's Day books from a father's point of view- not a teacher's. 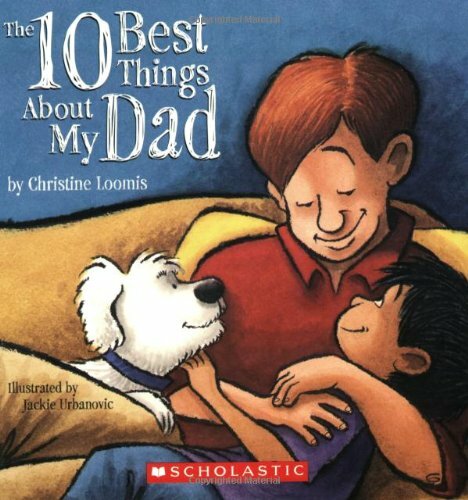 Over the past week, I've read The 10 Best Things About My Dad (by Christine Loomis and illustrated by Jackie Urbanovic), What Daddies Do Best/ What Mommies Do Best (by Laura Numeroff and illustrated by Lynn Nunsinger), and My Daddy and Me (by Amy E. Sklansky and illustrated by Ard Hoyt). I've enjoyed all of them to some extent and so has my daughter (though my son is still at the stage where all he wants to do is eat them). Though if I was to rank the books But here's how I'd rank them: My least favourite was The 10 Best Things About My Dad. It had a pleasant rhyme scheme and yes, it did make dad out to be a pretty swell guy. But it had the overly saccharine ending (the best thing is that "he's mine") and because it was all about one particular father, there was no room for fathers who vary slightly from the ball-throwing norm. And if the reader (or the reader's child) doesn't relate, then there's a risk of zoning out or judging. That's where What Daddies Do Best comes in. This book is great in that it shows a variety of dads, some doing those less stereotypical father things (sewing, for instance). It's fine until you realize that when you flip the book over, the book becomes What Mommies Do Best and it's the exact same text except with "mommy" plugged in over the "daddy" words and different illustrations. 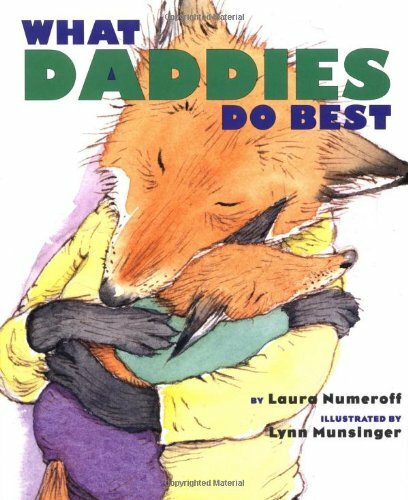 Laura Numeroff (of If You Give a Mouse a Cookie fame) should be given credit for doing something inventive here and for showing dads in a variety of roles, but as an adult I question how far she brought the political correctness- Are mommies and daddies supposed to be exactly the same? Interchangeable? Hmmm. Of course, few children are going to pick up on that, so maybe I'm just too difficult to please. But not impossible to please. I really enjoyed Amy Sklansky's My Daddy and Me. Like What Daddies Do Best it shows several fathers, all with different personalities. But unlike that book, it doesn't venture too far into politics. It's simple, children and their dads are playing and having good times together. There's some risk of going too far into Hallmark card territory as The 10 Best Things About My Dad did, but Sklansky and illustrator Ard Hoyt balance the book quite nicely. I still got the warm fuzzy feeling at the end and my daughter enjoyed the book. 'Nuff said.